This market share for Google's latest OS version isn't objectively good, but it's good for a new version of Android. For its entire run, Oreo usage was tracking several percentage points behind Nougat (at the same time in 2017). With this latest update, Oreo has surged past the pace set by Nougat. In July 2017, Nougat was sitting at 11.5%. The last time Google updated the platform distribution numbers, Oreo was at just 5.7% of total devices. So, it's more than doubled in the last two-three months. This is an imperfect measurement because Google is releasing this data near the end of July instead of at the beginning. These are still solid numbers for Oreo—it's finally taking off. Just in time for Android P to launch, right? 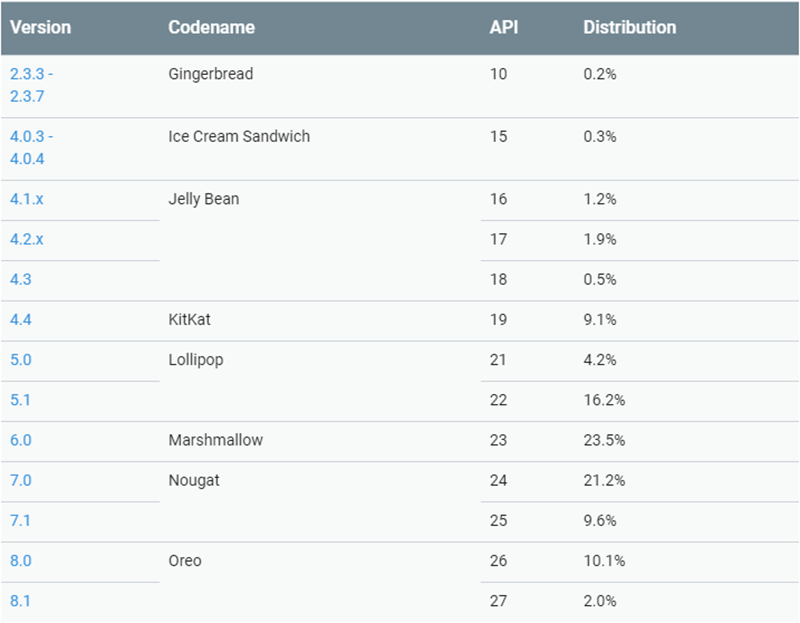 Gingerbread usage also ticked down to 0.2% from 0.3%. One step closer to removal.